Alabama slabs will be on the move this month. 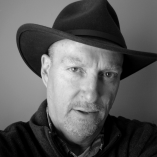 Understanding why and when is the key to catching the slabs. From year to year, the crappie calendar predicts where fish should be located based on the date. In the winter, experienced slab slayers know to fish deep. In the spring, shallow fishing is better than at any other time of the year. Then those transitional periods exist when the fish are usually found somewhere in between. A favorite time among crappie experts is commonly referred to as the pre-spawn. The fish leave their winter haunts and begin their move toward the shallow spawning areas, presenting the opportunity en route to catch the trophy females, egg- and forage-filled to their fullest. Targeting pre-spawn crappie is no guarantee for success. The vagaries of late-winter and early-spring weather factor into the fishing equation. 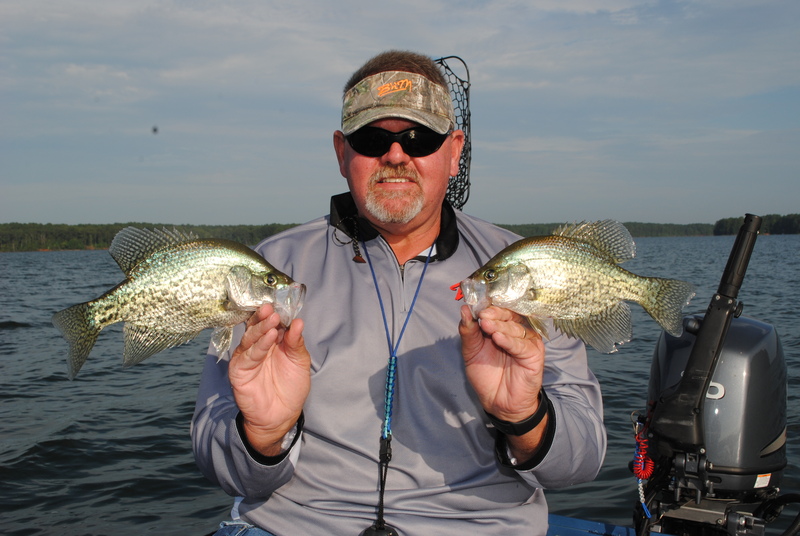 Even so, crappie are fairly predictable as they move toward the spawn, an idea that allows knowledgeable anglers to most efficiently put slabs in the boat. The pre-spawn is perhaps best defined by a temperature gauge rather than a calendar. Variables, mainly weather conditions, always influence the timing of the pre-spawn period, but it is generally that extended window from late January through mid-March when the water temperature reaches the mid-50s and the crappie begin their slow march toward spawning areas, normally holding around structure in eight to about 15 feet of water. On the temperature gauge, 55 degrees seems to be a magic number. The fish may start their movement in slightly cooler water, but as the mercury inches upward from 55 to 60 degrees, crappie are in full pre-spawn mode. On Weiss Lake in northeast Alabama, veteran guide Darrell Baker (Weiss Lake Crappie Guides, 256.557.0129) experiences the transition as early as late January and follows the movement of pre-spawn fish into March and even into April. On colder days during the pre-spawn, the fish will hold deeper and hug tighter to structure. On warmer, particularly sunnier days, the crappie may suspend higher in the water column and benefit from the sun’s warmth penetrating the surface. Water temperature stability promotes the best spawning conditions for crappie. Three to five days of higher, stable temperatures will produce a wave of spawners. However, pre-spawn conditions generally prevail for an extended period from February through April across most of Alabama because of the instability of the weather at this time of year. While Overstreet guides and fun-fishes mostly on Alabama River impoundments and along the Tombigbee, he said the rules that guide his pre-spawn fishing at home apply just about anywhere that he travels to fish in tournaments. For most crappie guides, some type of multi-rod trolling provides the most efficient means of catching pre-spawn fish. Trolling, when compared to casting or other one-rod approaches, offers the opportunity to put different lure/bait combinations in front of the fish and quickly cover wide swaths of water. While Baker follows local regulations on Weiss that limit an individual to three rods, most areas across the state have no such limitations. A common set-up for long-line trolling is as many as eight rods – four on each side – staggered out of the front of a boat and four out the back. For more aggressive fish after a good temperature warm-up, long-line trolling is a common approach. Using a spread of rods from the front and from the rear, long-liners troll from about .7 to about 1.0 mph, generally tying one or two jigs directly to the main line, most often with some type of loop knot to allow for better action. 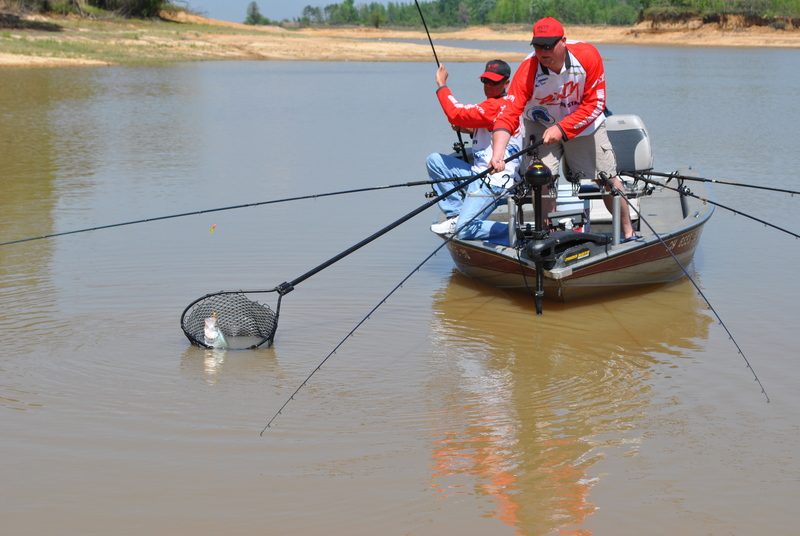 If the fish are still transitioning from colder water, Baker is likely to spider-rig, which involves placing the lures vertically to the front and to the side of the boat. He normally uses a spread of B’n’M Buck’s Graphite Jig Pole rods of 10’ and 12’ lengths. He said using hi-viz Gamma line, usually 10- or 12-lb. test for spider rigging, also helps, especially when the bite is subtle. Baker and other spider riggers generally troll at a low speed, under .5 mph, and often come to a complete standstill when they approach structure. Whitehead puts his own spin on trolling techniques during the pre-spawn along the Tennessee River and in the Bear Creek Development Authority (BCDA) lakes in northwest Alabama. A side-pulling presentation from his War Eagle boat specifically designed for the purpose proves deadly on crappie. The boat is set up for fishing out of the left side – the seats easily swivel to face the rods – with a trolling motor mounted on the right side. Whitehead emphasizes the need to find fish that have not been pressured, and the side-pulling approach allows him that opportunity. “As a side puller, I like to target slightly deeper water than the typical trollers,” Whitehead said. “Most people would say 15 feet or under for most pre-spawn fishing. I’m out in 20, 22, or 23 feet of water. Whitehead added another caveat that makes side-pulling a valuable presentation for pre-spawn crappie. Many crappie anglers, especially those who beat the bank in the spring, can easily catch a limit of fish. A common lament is the fish are small with many of them barely exceeding the size limit (nine inches on most Alabama waters, 10 inches on Weiss Lake). One way to avoid the shallow-water, small-fish experience is to consistently target the bigger females. Unlike the males, which may move shallow for weeks, the spawning females will move up for only a matter of hours, holding out in about eight to 12 feet of water in the later stages of the pre-spawn. The triggers that cause a move toward the bank rarely ignite at the same time, leaving a steady supply of the bigger females waiting to be caught. 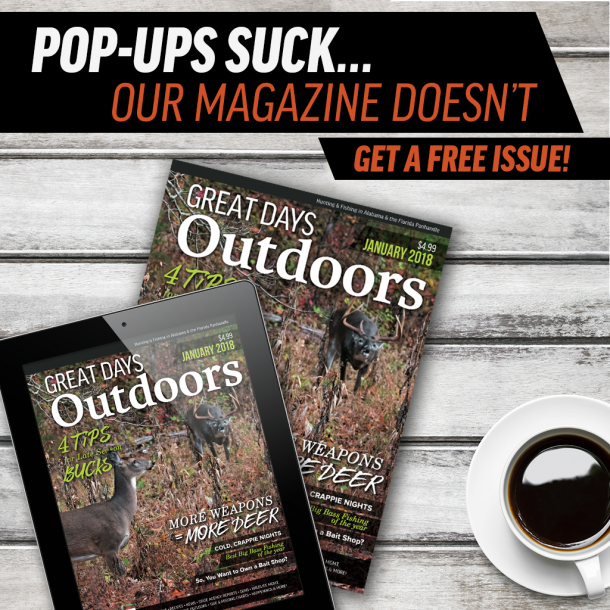 Few types of fishing have been impacted more by modern electronics than crappie fishing. All the major manufacturers offer quality products, which create various possibilities for crappie fishermen. Baker wants to quickly put his clients on fish, and a quick scan with his electronics tells him almost immediately if he is in the right place. Overstreet, who offers educational electronics trips in addition to fishing trips, takes the process a step further. “The first thing I am going to do is run through there with my side imaging to determine where they are located, and then I will go right over the top of them to determine how deep they are,” he said. Adams, who relies on the new Humminbird Helix technology, said the crappie show up in a very distinctive way on his units. Regardless of the approach, the pre-spawn period that likely begins this month on your local waters is a prime time to catch more and bigger slabs. Refine your tactics, and see just how good the crappie fishing can be. Is nighttime Crappie fishing any good during the winter time/early spring Pre-Spawn (Feb-March) on Lay Lake (Coosa River)? Or is it a waste of time? Strictly daytime? Full moon? 2 days after? If so, how deep do I need to fish?